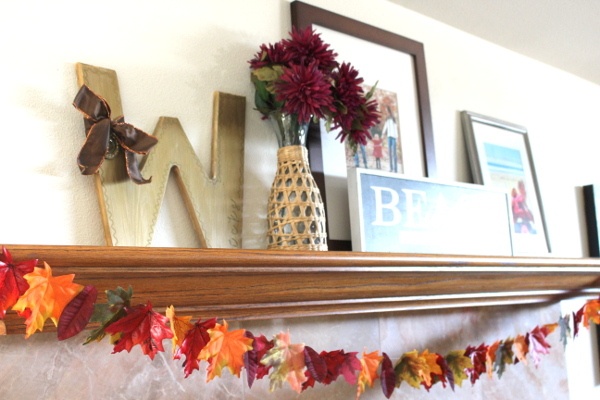 Our mantle was looking a little in “forever Summer” mode so I thought the girls and I could add a little Fall feeling to it with a very easy Fall leaf garland. 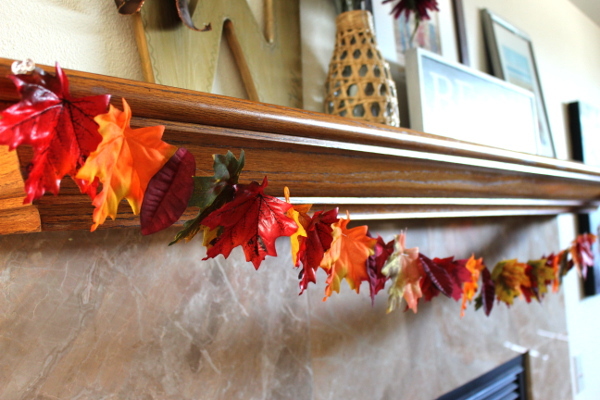 I came across a few packages of leaves at the dollar store and instantly thought of stringing them up on our mantle. 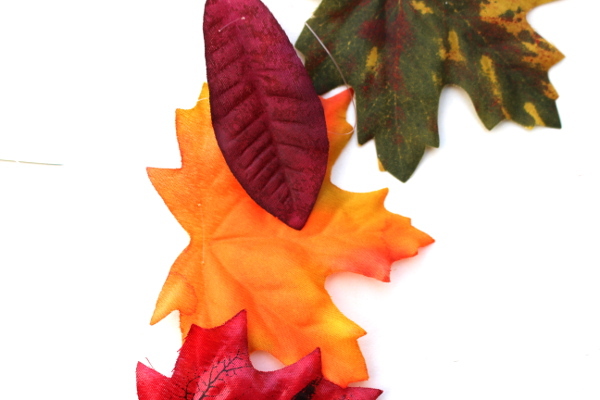 You’ll only need a few items and about 30 minutes to create one yourself and kids can definitely assist! 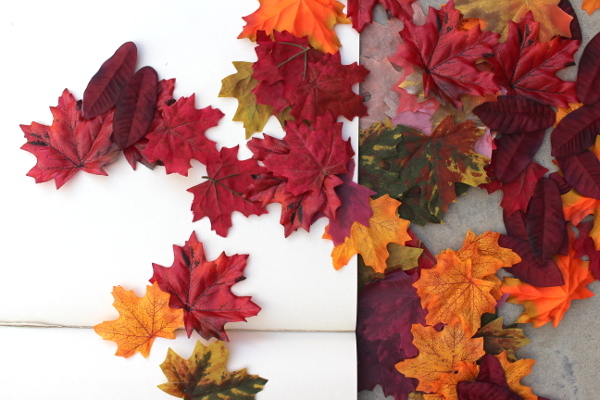 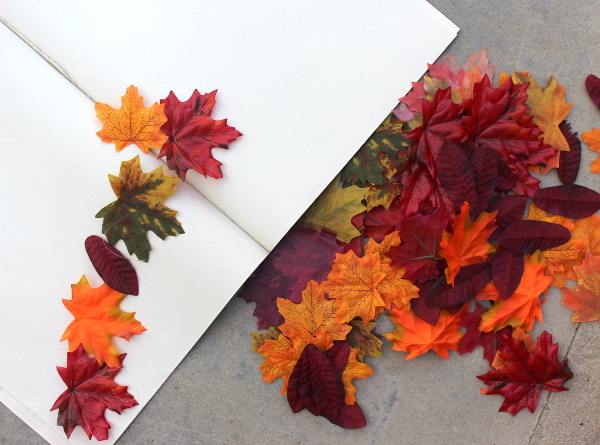 Pull the leaves apart to make sure that they lay flat and aren’t bunched. 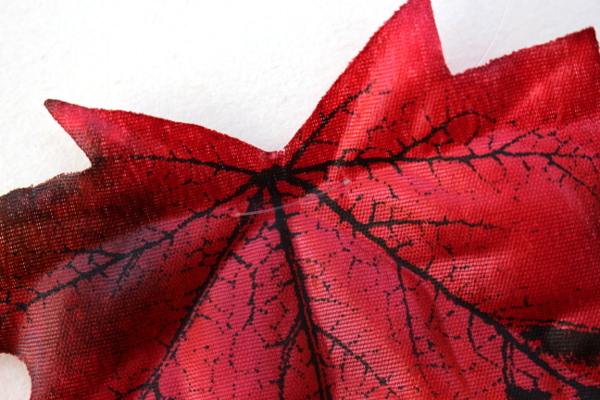 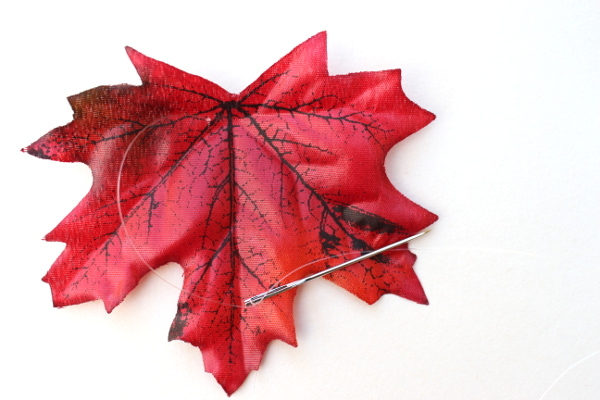 I strung about 75 leaves and then checked the length before cutting the thread to the size of the mantle. 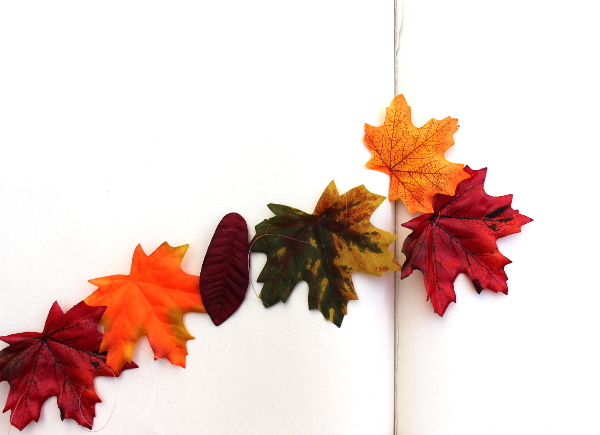 Tie off at each end and enjoy! 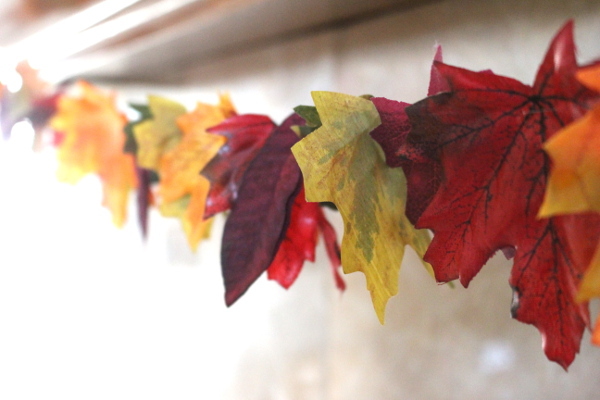 I love this simple project!